Home » Uncategorised » The beginning of June. 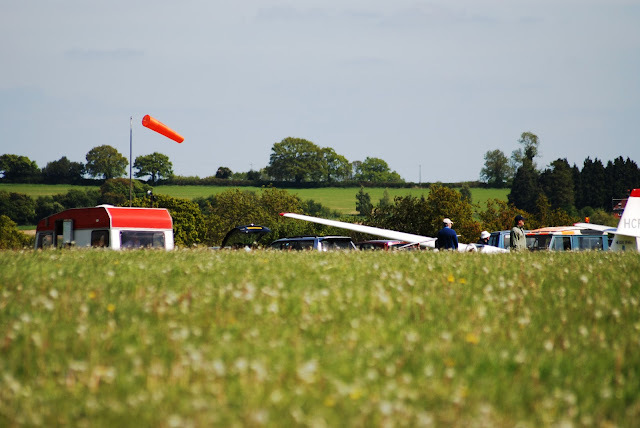 What a glorious weekend; the gliders were out in force and so were the dandelions and with a high cloud base there was plenty of flying to be had. Sunday saw John Parker, Tony Chapman, Jon Scott and Justin Butler, all new members as well as the trial lesson Vanessa have some great flying. 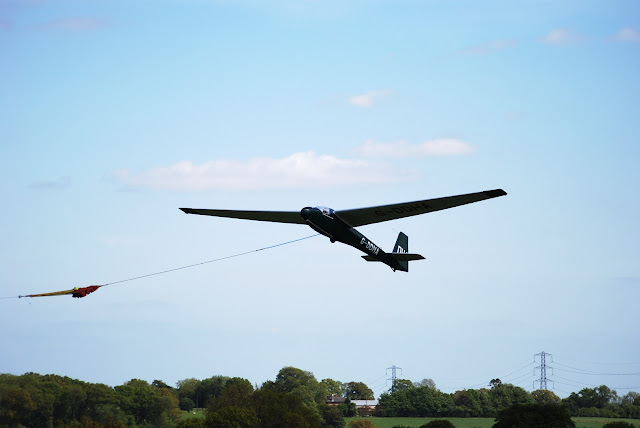 This with the regular members who turned up, rigged and flew meant there was an alarming lack of gliders on the ground. Tim kindly test flew the Ka8 and he carefully checked everything on the glider, then checked the parachute. All was fine and we watched the glider being put through its paces. We still have a Ka8 everyone can fly. Phil and Carol took off to Burdlip then over the Bicester. Sunday and I nursed sun stroke from Saturday. I hadn’t noticed the sun was quite so strong and even though I drank plenty I just didn’t have a strong enough sunscreen on. It was lovely to see the Swales make it’s appearance and like the swallows who also appear from nowhere it took to the sky and disappeared for hours. Quite a nice weekend as it happened.